6. Lift the skirt to be approximately 15 degrees above horizontal. 7. Refit or reposition any removed tape, insulation or other obstructions. It is extremely important that everything be replaced to its original condition and position. 8. 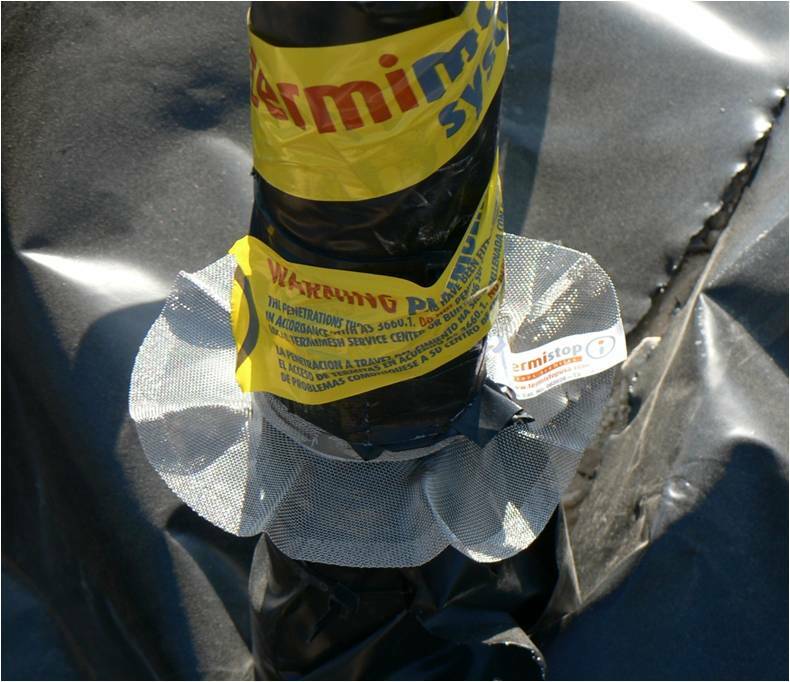 We recommend that you apply one layer of Termitape above the concrete level to alert other trades that Termistops have been fitted on these pipe penetrations.